Since the start of 2017, I’ve been on a mission to reduce the amount of waste we send to the tip/landfill. It’s not quite zero waste (which is about producing no waste whatsoever, including recycling), but it’s an important step in the right direction. One of the things I really want to do with Girl In Awe is help you figure out how to live a more conscious, eco-friendly, and ethical lifestyle, if that’s your jam. Starting with the basics. Today’s topic, is waste reduction and how you can benefit from it/why you should do it. Together, we’re gonna reduce the amount of crap in our general waste bins that gets send to landfill, and here’s why. How much do you love the delicious smell coming from a landfill site when it’s mildly warm? It’s delicious, isn’t it? I used to live in a town that had a tip and my dog, you could smell it all over town on a mildly warm day. And on one of those hot, humid British summer days, you could taste it. That smell is the stink of things breaking down (note that not everything sent to landfill will rot away). During this process, methane is created. Methane is a greenhouse gas which is even better at trapping heat in the atmosphere than carbon dioxide, which means it’s not really something we want to be creating more of than necessary. Though, some tips harness this methane for energy purposes, which is better than letting it escape into the atmosphere. There are additional risks of soil and water pollution due to the gross, toxic soup of liquid that forms when things break down. I don’t think any one wants that to end up in local streams, ponds, lakes, rivers, and killing anything that lives in it. While landfill sites now are fairly well regulated, old landfill sites are polluting waterways and could impact local wildlife. Experts have also warned that coastal erosion at old landfill sites could expose us and wildlife to toxic chemicals. Not cool. I did not sign up for historic rubbish coming back to fudge stuff up for us like the plot of the fourth sequel in a horror movie franchise. Whatever it is you’re throwing away - that thing had to be created and packaged. We are now so far removed from manufacturing processes that 1) don’t even think about it, and 2) when we do, we probably wouldn’t have a clue how it was actually made. For me, this is an offshoot of the last post. I used to think waste reduction was about putting less things in the bin, and it is in one way. It’s also about being more conscious of what you’re buying. You learn to really research things to find out what they’re made from, how long they will last, if they can be repaired, what you need from something, or if you even really need it in the first place. 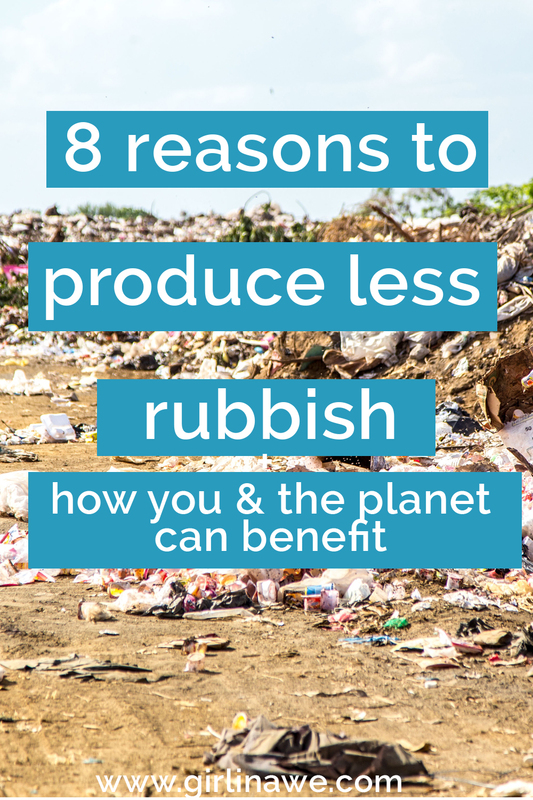 Reducing your rubbish definitely leads to a more conscious lifestyle, and, if you want it, it can lead to a minimalist lifestyle. For me, living more consciously has meant having less clutter in the house. Don’t get me wrong, I am not saying our house is a clutter free zone. It’s a work in progress but I’m happy knowing that anything I bring into the house is something I’m happy with, confident will last, and fulfil its purpose. We all share this planet and are equally responsible for looking after it. It isn’t just about us as individuals though. It’s about us holding companies and governments accountable. Don’t like that your favourite biscuits come in non-recyclable packaging? Tell the company how much you love to dunk those biscuits, but are so disappointed in their packaging choices. Change might be slow, but if everyone does their part it will happen. Tell your local MP that you want something to be done about all the litter thrown out of car windows and into hedges. Complain to your local supermarket if you can’t buy the produce you want plastic-free. 6. Does anyone actually enjoy going to the tip? I can’t imagine anyone enjoying having to load a car up, fight for a parking space, not find a parking space near the bin you want, and have to haul a load of stuff down the other end of the car park to put it in the right bin. How about we just bring less crap and things that will break easily into our homes, so the only time we do have to go to the tip is when something is legit old and past it. 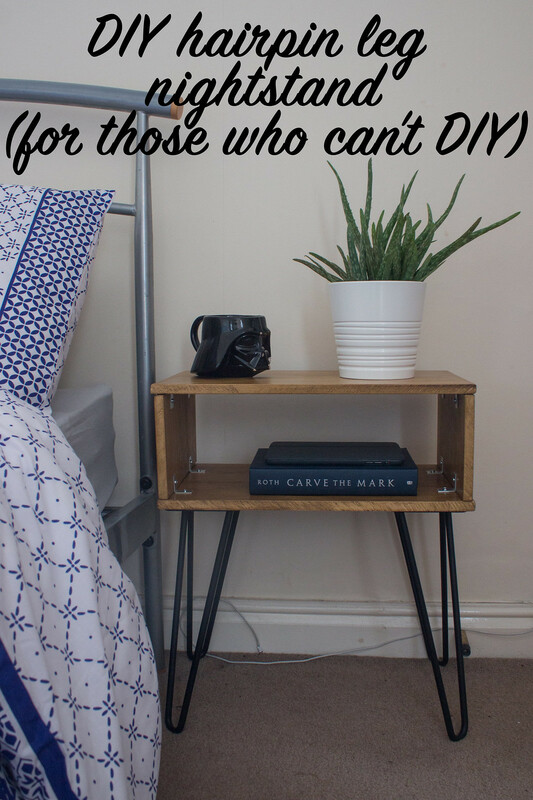 And even then, you might be able to rescue it; I turned some wood from an old wardrobe into two stunning hairpin leg bedside tables. A company, and the government, is responsible for their actions the same way you or I am (whether or not they try and shirk that responsibility). By telling them that their efforts aren’t good enough and that it’s not what their customers/the public want, we encourage the kind of change we want to see. Maybe that sounds a bit ‘away with the faeries’ to you, but let’s all try it and see how it works out. Instead of throwing that broken thing away, figure out if you can fix it first. In Edinburgh, we have the Shrub Coop and Edinburgh Remakery, both of which offer ways people can learn new skills, repair, and purpose items. Maybe there's something similar near you? If not, does one of your friends or family know how to fix something? Hands up who loves saving pennies? I thought so. And then, you can spend those well-saved pennies for adventures, seeing your favourite band, buying The Sims 4 and proceeding to spend your spare time cleaning up after pixel people instead of cleaning your own house, or treating you and your Mum to a long day exploring record stores. I’m toying around with running a waste reduction challenge next year and I want to know if that’s something you’re interested in? If it is, please tell me what kind of things you’d want it to include or what kind of questions you want answering. As ever though, if you have any questions or suggestions, fire away and lets produce less waste!